Pawleys Island, South Carolina, located 70 miles north of Charleston and 25 miles south of Myrtle Beach, is known as one of the oldest communities along the Grand Strand. Pawleys Island is a barrier island less than 4 miles long and a quarter mile wide, separated from the mainland by a beautiful salt marsh and accessible by two short causeways. The rice planters who owned plantations on the nearby rivers first settled Pawleys Island in the early 1700′s. People are still moving to Pawleys to enjoy seaside breezes, sugar-sand beaches, exquisite sunsets, and quiet, low country living! The beach is peaceful and pristine, and renowned for its surf. Within five miles of the island there are ten excellent golf courses and a large tennis complex. Fishing is available both in the surf and from the two marsh bridges. Or launch your boat from one of the three island boat ramps. Pawleys continues to be known for its shoeless, carefree, laid-back life style, which includes crabbing in the adjacent creeks, fishing, ghost stories, rope hammocks and unspoiled, delightful stretches of wide beach and sand dunes! Pawleys Island and the surrounding area is sometimes called "The Hammock Coast" after the famous Pawleys Island hammocks. Within a few minutes drive of Pawleys Island you will discover Huntington State Park with its protected shoreline and dunes that thousands of species of wildlife call home. On the grounds is Atalaya, the Moorish-styled home of Archer and Anna Hyatt Huntington. Mrs. Huntington, a renowned sculptor, worked at Atalaya before she and her husband gave their property to South Carolina to become the Huntington State Park and Brookgreen Gardens. Brookgreen Gardens is another Pawleys Island "neighbor" you will want to get to know. Not only home to the largest outdoor sculpture collection in the United States but also home to an ever-changing landscape, Brookgreen Gardens is a national historic landmark. Huntington State Park, the “castle” and the Gardens add to the rich fabric of life in the Pawleys Island community, a fabric that is rich in tradition and welcoming to newcomers as well! RE/MAX Southern Shores real estate agents know that finding the right property for each buyer is their #1 priority. With scores of Pawleys Island properties for sale, how can you find the house, condominium or townhome that is suited to your needs? RE/MAX Southern Shores agents will find properties for sale in YOUR preferred neighborhood, with the features YOU need. 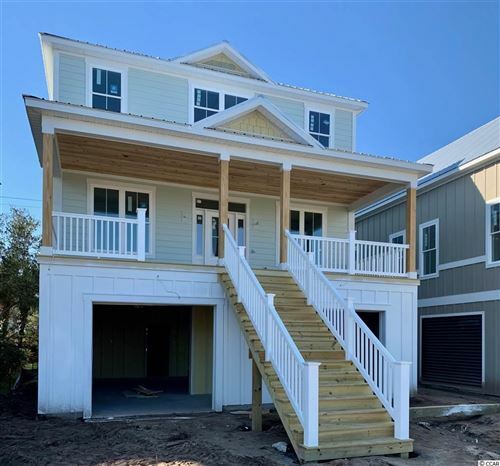 You can begin your initial search for Pawleys Island real estate with the property listings and market information at this website now, then call RE/MAX Southern Shores at 843-249-5555 to personally speak to an agent. RE/MAX Southern Shores real estate agents KNOW the Pawleys Island neighborhoods and will help you find the piece of paradise that is just right for YOU! Strolling on the beach, drifting away for a quiet nap in a hammock and enjoying the serenity that beach living brings are just a few reasons to consider the Pawleys Island area. Whether you are looking to relocate, purchase a home, or find investment property, Pawleys Island offers it all. When you are ready to choose a realtor make sure its an agent who will work hard for YOU. RE/MAX Southern Shores would love the opportunity to be your coastal Carolina real estate partner. We pride ourselves on impeccable customer service; after all, it’s about doing a top-notch job and wanting YOU to make your real estate dreams a reality! If you're looking for the perfect location in coastal South Carolina to call home, you will want to consider Pawleys Island! Call a RE/MAX Southern Shores agent today at 843-249-5555.